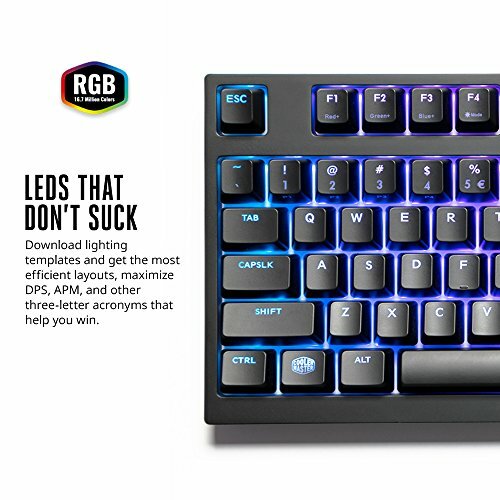 The best new RGB Mechanical keyboard. 100% authentic CHERRY MX brown switches - gamers demand the best, which is why the Master keys Pro L only uses 100% authentic CHERRY MX switches. Cooler Mater is a well known PC hardware manufacturer, making some of the best fans, power supplies and CPU coolers. 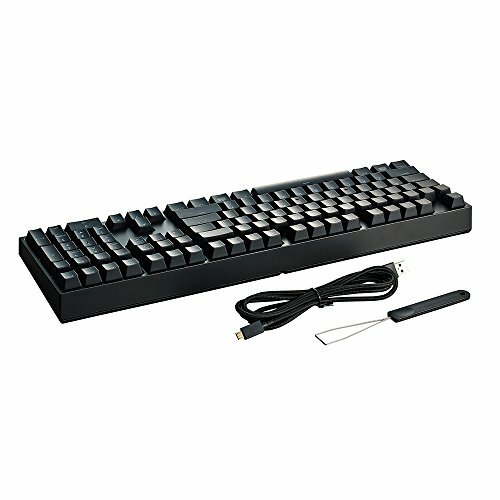 They are well known having produced some great mechanical keyboards like the CM Storm Devastator keyboard. 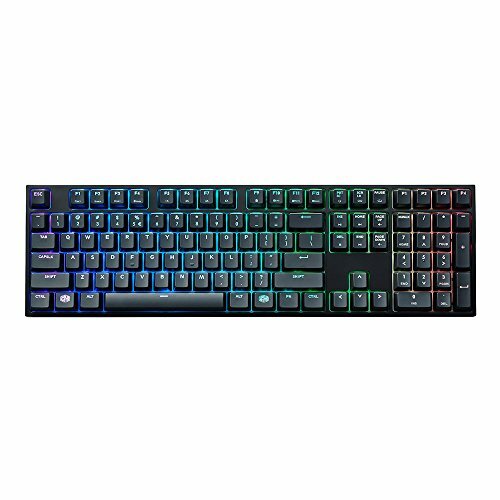 Cooler Master MasterKeys Pro L is a full RGB mechanical gaming keyboard that uses the traditional 104 key layout(meaning it has the number pad as well). 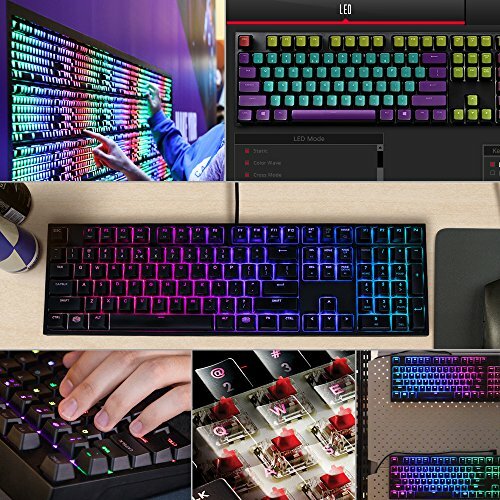 This keyboard comes with Cherry MX switches and you have options between Cherry MX Red, Cherry MX Brown and even Cherry MX Blue. Cooler Master MasterKeys Pro L has a great metal and sturdy feel. It is and feels very solid and something that can take the abuse of a lot of keystrokes. The metal plate behind the switches is what give it durability. The sturdiness and solidness of the keyboard can be felt by how heavy it is compared to other keyboards. 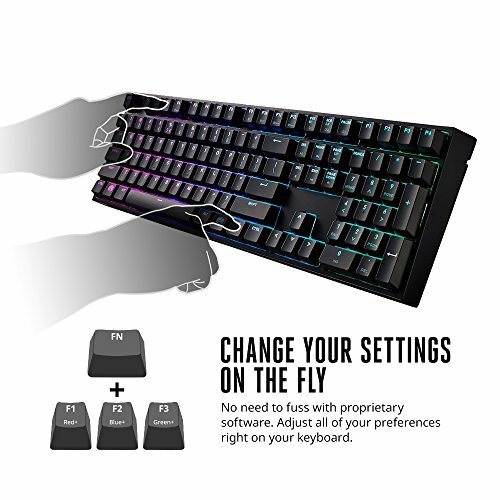 The keyboard has 100% anti-ghosting and rolls 6-key and N-key into one. You can also program macros on the fly. Like most keyboards in this category, it comes with profile support as well. the keyboard also has 4 profile keys on the upper right corner. Cooler Master MasterKeys Pro L comes with a very nice high quality braided cable that is detachable. You route the cable through the left, right or center of the board. This is a pretty cool design and insures longevity of your cable. As it is detachable you can also use any micro USB cable. 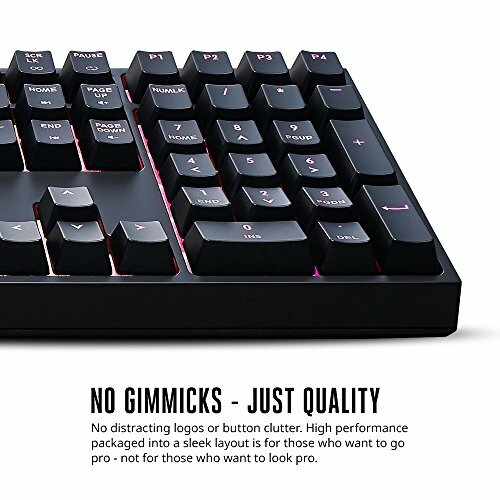 One of the main reasons why the Cooler Master MasterKeys Pro L is quickly becoming a go to keyboard for the mechanical; keyboards community is the fact that the keycaps are all standard and can be changed with any other standard keycaps. This is not the case for many other mechanical keyboards like Corsair. The RGB light is simply stunning and brilliant and has 16.7 million colors. The colors really do shine and look crisp, thanks in part due to the design of the keyboard itself. 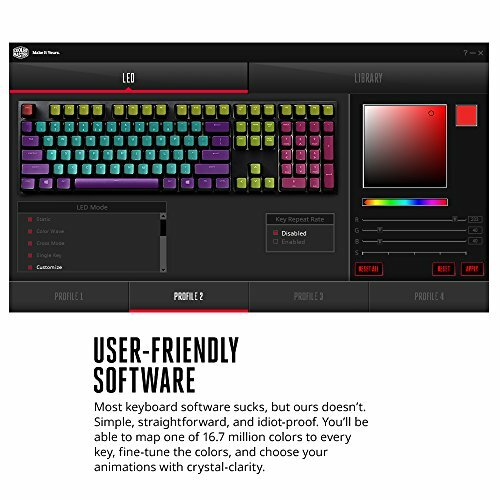 The keyboard comes with software that lets you customized the lights in multiple ways. Some of the effects included are breathing, single color modes, etc You can even play Snake on this keyboard! Yes, that snake! Cherry MX is the leader in mechanical keyboard switches. In particular Cherry MX red and Cherry MX Brown are the most popular two types. Both of them felt great on the keyboard. It is simply a matter of performance in which Cherry MX switch to get. Gamers generally like the lightness of Cherry MX Reds while Cherry MX Browns are for someone that wants the best of both the typing and gaming worlds. 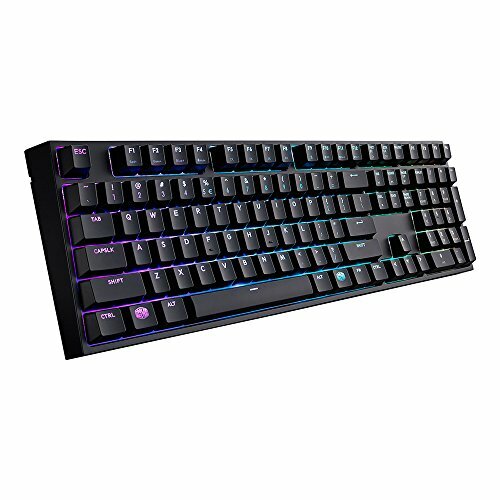 Cooler Master makes great quality hardware including keyboards.With the Cooler Master MasterKeys Pro L, they finally have a brand that will become a household name. This is because of the features, quality and price point. There is literally nothing that I can find wrong with this keyboard. 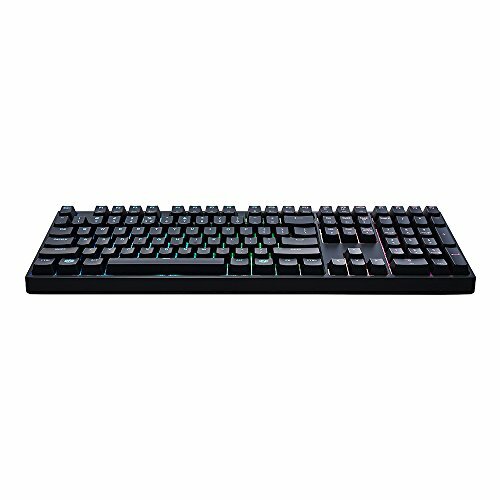 Weather you are a developer, typist or gamer, Cooler Master MasterKeys Pro L RGB with Cherry MX is definitely one of the best mechanical gaming keyboards available right now and comes highly recommended.